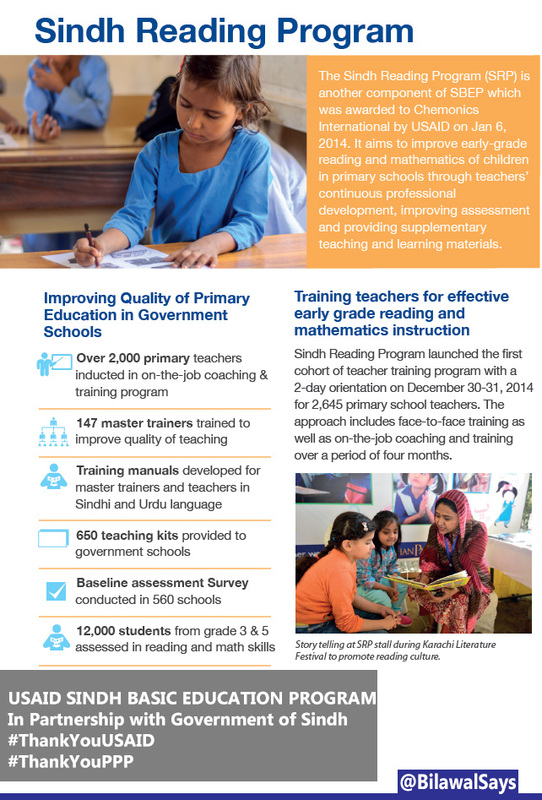 Government of Sindh has been working diligently to improve the quality and access to education in Sindh. 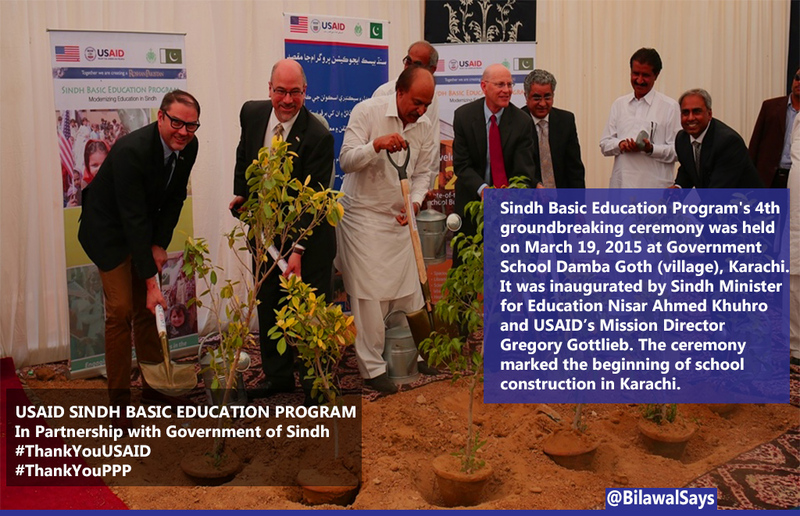 U.S. Government and Government of Sindh have joined hands to provide school environment conducive to teaching and learning by constructing new school buildings in populated and targeted districts of Sindh. We recognize that many of our children have barriers to accessing education. Several schools were affected by 2010 floods in Sindh. Construction of new government school buildings would remove these barriers and provide quality education to children in populated areas. It would also increase and sustain enrollment of young students and contribute to building tolerant and cohesive communities. This is one of the best investments which would lead to economic and social progress in our beloved province of Sindh. 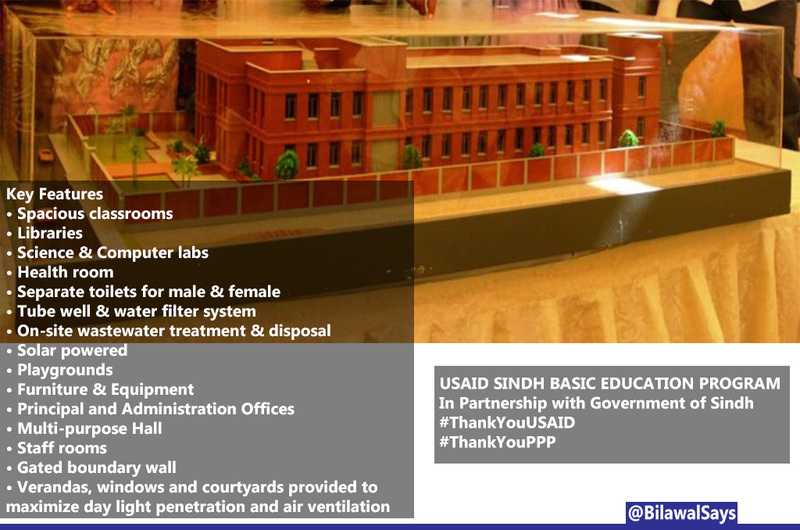 I am grateful to USAID for funding construction of nearly 120 schools in seven districts and five towns of Karachi. Sindh Basic Education Program (SBEP) has also been providing technical assistance to Education and Literacy Department, Government of Sindh and supporting policy reforms to achieve SBEP goals. Over the past few years the Education Department, Government of Sindh has made revolutionary steps to enhance quality of education and have made progress. This program would provide access to quality education and change lives of thousands of children who are currently deprived of attaining such facility. It would undoubtedly leave a long lasting positive impact on the future of our generation. Government of Sindh approved the policy of School Consolidation in February 2012 to rationalize school infrastructure and management and to enhance quality of education. Program Management & Implementation Unit (PMIU) was established by the Education & Literacy Department, Government of Sindh in 2012. It has been operating efficiently since, providing technical assistance to Education department and ensuring smooth running of the Sindh Basic Education Program. Private land owners of twenty government schools in Khairpur, Sukkur and Larkana donated land worth Rs.49.44 million free of cost to Education and Literacy Department so well equipped schools can be built in their community. With PMIU’s assistance, under the Sindh government’s up-gradation, consolidation and merger policy, 46 SBEP schools are notified as campus schools in which 96 adjacent schools have been consolidated. These reforms will consolidate several small schools that exist in a village into a single properly managed facility. providing construction supervision to monitor the construction activities for a quality and cost effective completion. accordance with the Technical Specifications. So far NESPAK has successfully verified thirty five milestones. 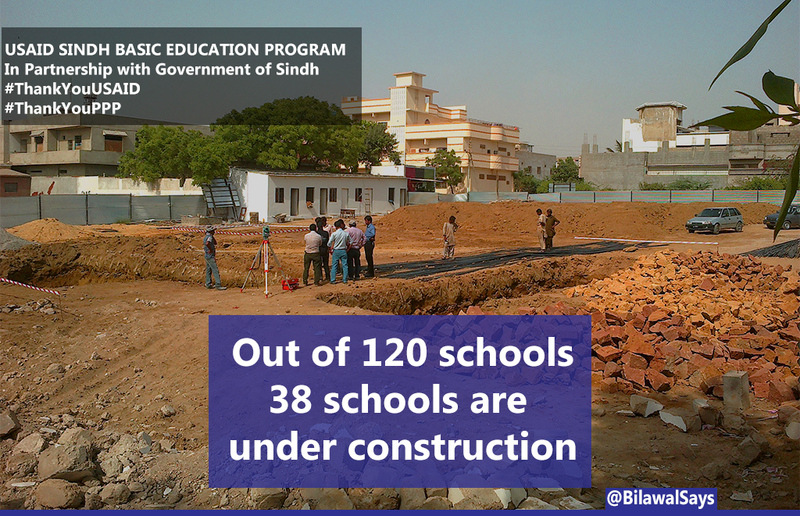 SBEP will be constructing up to 120 state of the art schools to replace damaged schools in flood affected areas across seven districts of northern Sindh including Khairpur, Sukkur, Larkana, Jacobabad, Kashmore, Dadu and Qambar Shahdadkot, along with five towns of Karachi including Lyari, Kemari, Orangi, Bin Qasim and Gadap. i am an arab woman of color…come with all shade of anger worth watching video.